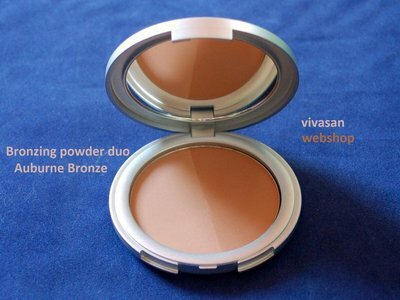 Locherber Bronzing Powder Duo Auburn Bronze 10g BP1 - Vivasan Webshop English - World wide delivery Vivasan Official Webshop® is specialized in shipments to the UK, Ireland and Scandinavian countries. Best prices! 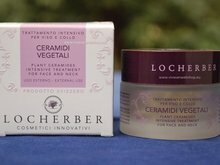 Locherber Bronzing Powder Auburn Bronze, is a very fine face powder, essential for a natural year-round bronzing effect with wonderful tones. 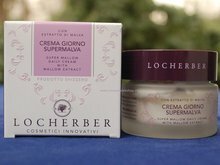 The enriched formula of the Bronzing powders with Irwinol (Wild Mango butter) moisturizes and nourishes the skin, protecting it from the aggression of outside agents. 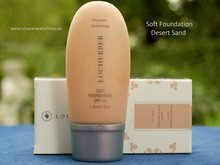 Locherber Bronzing Powder Duo Auburn bronze has UV sun protection filter 15, SPF 15. Application: Apply the Bronzing Powder on a clean, made up or bronzed skin. 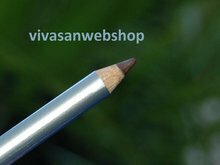 Dip brush in a little powder and lightly dust with circular movements on the face, in particular on cheeks, forehead, chin, neck and chest. Repeat the application according to the intensity of the required colour. 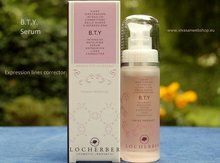 Locherber Compact Eye shadow is not tested on animals. Nickel tested. Dermatologically tested.